You are the captain to your own ship, so take the helm and guide it towards your next adventure! 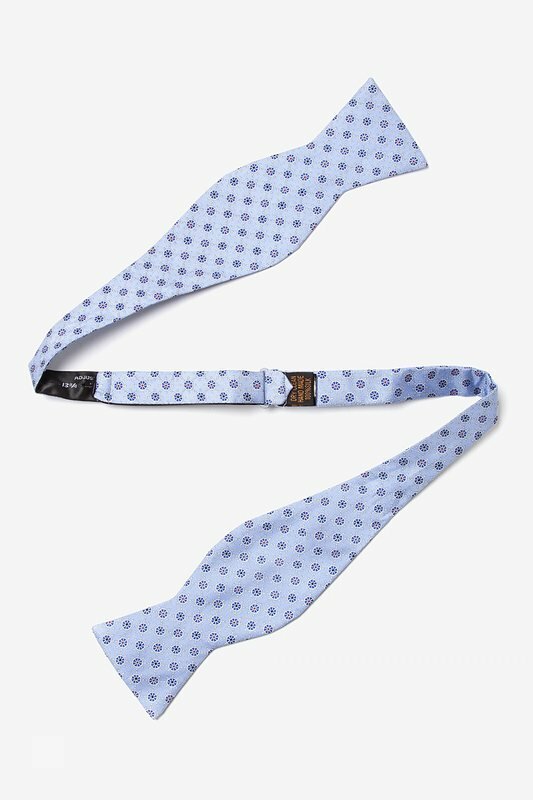 This Alynn Neckwear bow tie features a repeating pattern of white a... read more You are the captain to your own ship, so take the helm and guide it towards your next adventure! 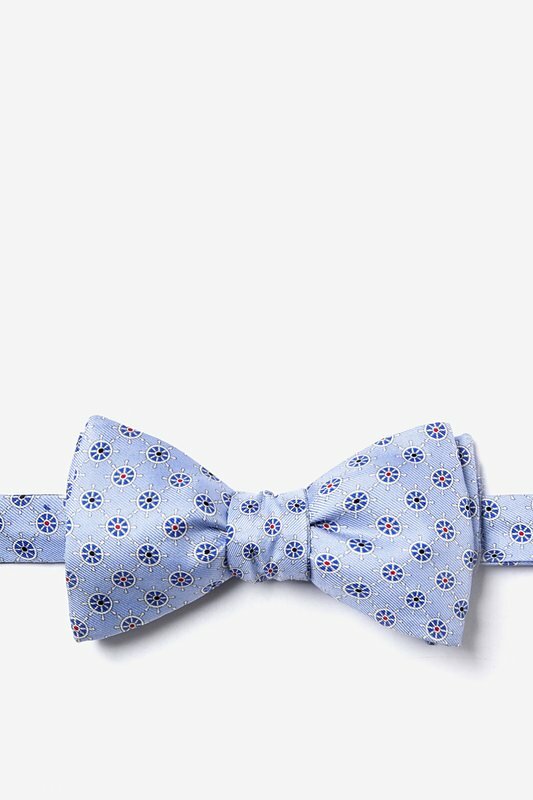 This Alynn Neckwear bow tie features a repeating pattern of white and blue ship helms over a light blue background. This 100% silk bow tie will take you back to the ocean that captured your heart. Perfect for the everyday captain or the weekend sailor.